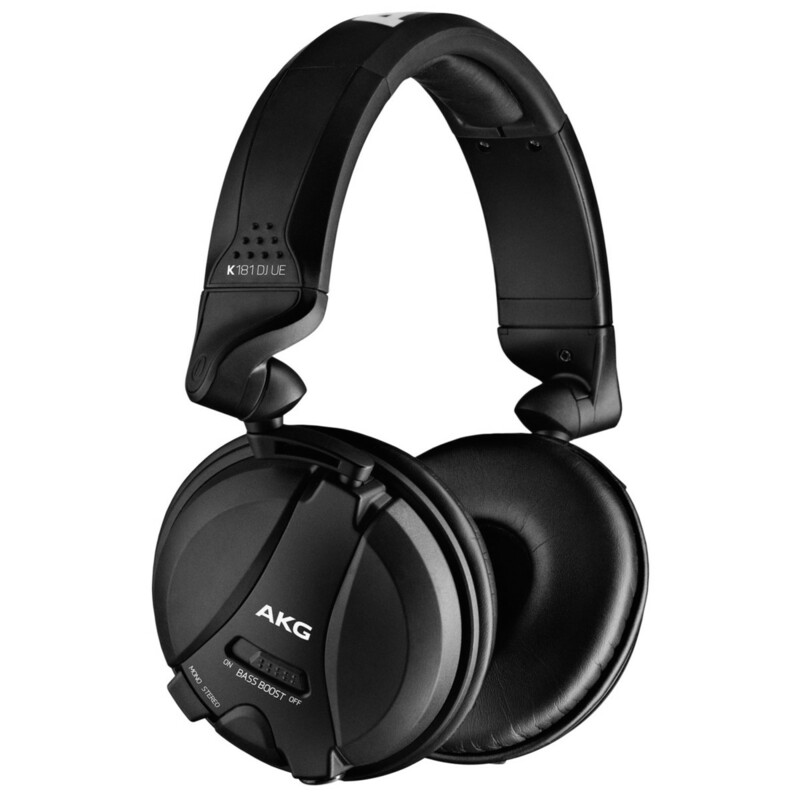 The AKG K181 DJ UE Headphones are ideal for professional working DJs. Featuring a closed-back, on-ear design, the headphones excel at isolating outside noise, whilst providing clear and high sound pressure levels, ideal for the most demanding DJ environments. 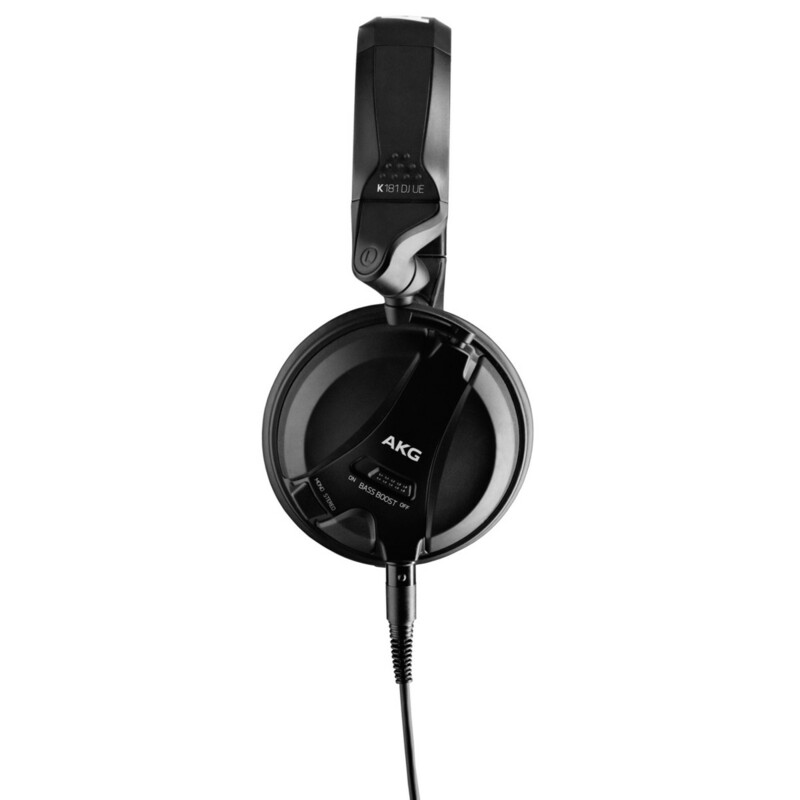 The AKG DJ EU headphones feature a bass boost switch for bringing up low frequencies, allowing you to hear bass clearly in loud conditions. The 3D-axis professional folding mechanism allows you to adjust the monitoring position quickly during mixing, and also fold down for transporting. Additionally, the AKG K181 DJ headphones feature a lightweight, durable construction, which ensures years of reliable DJ use. The K181 DJ headphones feature a bass boost switch that allows you to enhance the low frequencies. This is ideal when working in loud conditions, allowing you to clearly hear the bass in the track in your headphones. This is a useful feature that enables you to listen to your bass, and check to see if it matches the current track that is playing. The AKG K181 headphones can be easily folded into different listening positions, allowing you to quickly get them into the correct position for cueing and mixing the next track. 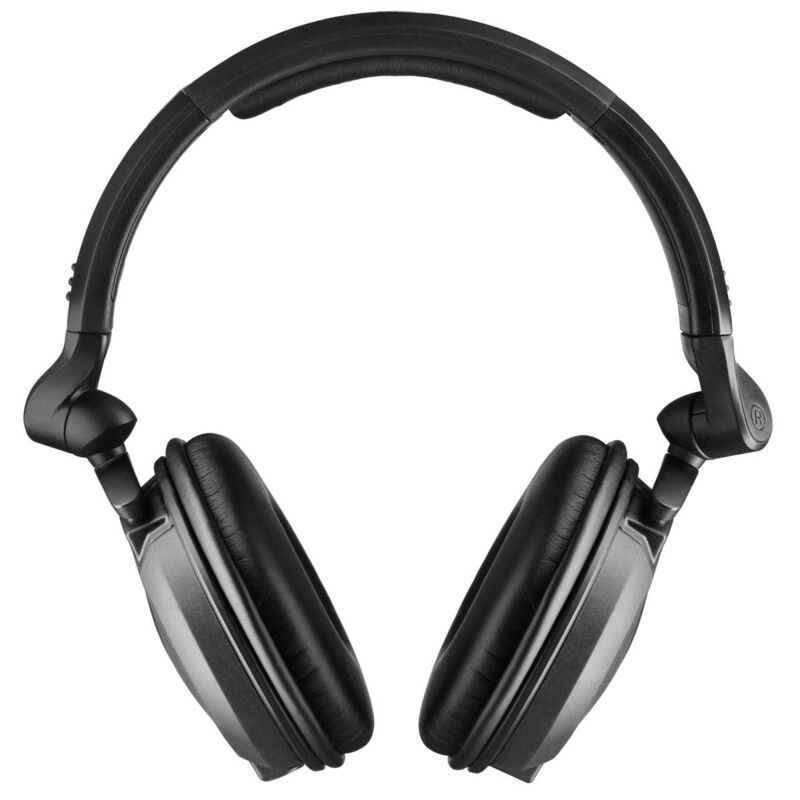 The headphones feature a 3D-axis professional folding mechanism, which allows them to fold into many positions quickly. 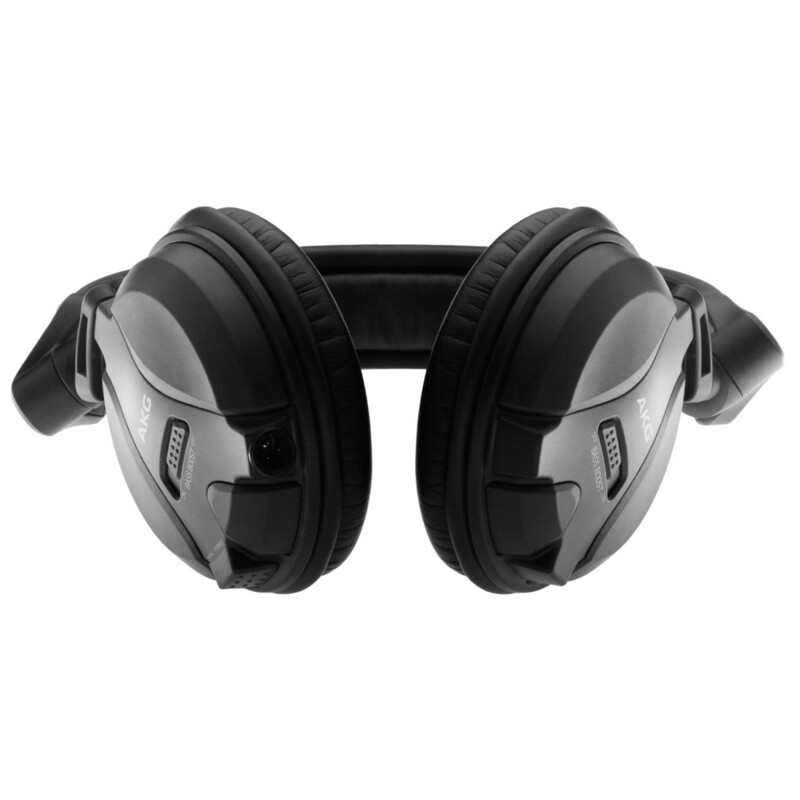 Additionally, the K181 DJ headphones can be easily folded down into a small size for transporting, which is ideal for the travelling and working DJ. 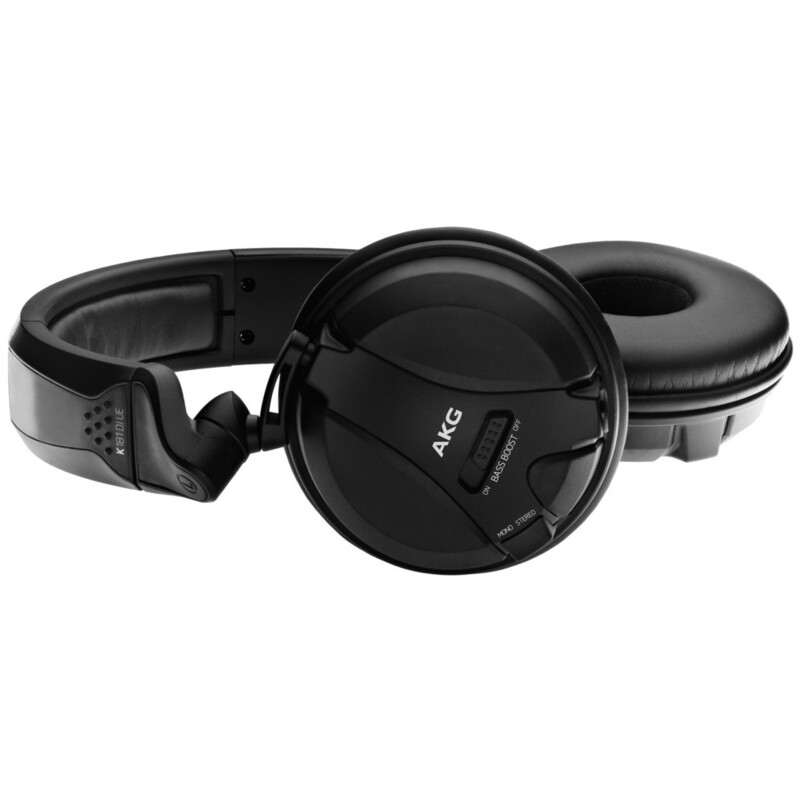 The headphones feature a lightweight, durable construction that provides the AKG K181 headphones with the ability to withstand heavy usage night after night. The detachable coiled cable provides flexibility, allowing you to freely move in the DJ booth. A mono/stereo switch allows you to change to mono for single ear monitoring. This is ideal for beatmatching, allowing you to cue up one track in one ear with your headphones, and use the other ear to listen to the sound from the speakers.